Follow the book tour from April 15 – 27, 2019. Visit each tour stop daily and discover more features, excerpts, reviews, interviews, fun facts and more! To check the latest tour schedule, visit the Other Than Book Page at Book Unleashed. Contest runs from April 3 – 27, 2019. The Write Touch Conference is April 5th and 6th. This weekend, Wisconsin Romance Writers were busy packing baskets for the silent auction, where proceeds will go to Literacy Services of Milwaukee. Here are some of the baskets. Heads Up! I love listening to stories. For many years, my dream has been to write a novel that could be turned an audiobook. Well, my dream has become a reality. 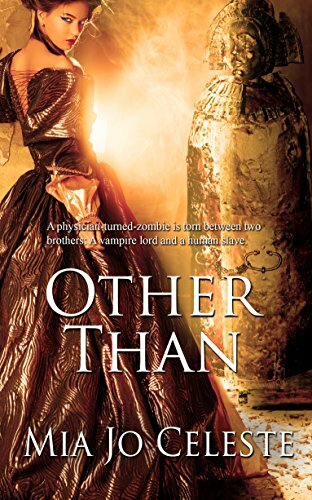 The most wonderful narrator Keira Stevens brings the characters in Other Than alive. Also, to add to the party, we’re offering the digital version for $ 0.99 and the audiobook for $7.49. With all the snow lately, you might need something to keep your spirits up. Here’s a picture my friend created and posted. It made me smile. Hope it has the same effect for you. About eight years ago, Cristina got the idea of the day when she wrote lines of poetry on the post-it notes Office Max puts out for customers to test markers. She wanted to brighten people’s day. The idea worked. The smiles she saw inspired her to create a holiday and then to recruit “a rebel crew of kindness people,” to spread art or encouraging words. Cristina gave several suggestions about how to celebrate this event. She said she puts poems on postcards and bookmarks that she leaves in restaurants and libraries while another friend knits scarves. She pins notes to them which say—if you’re cold, please take me, and then she hangs them on coat racks in public places. I know it’s already halfway through February 20th, but I think this holiday is like an adult’s birthday. Never mind its actual date. Birthdays can be celebrated for a week or a month or, really, any time you want. Thursday Thirteen Polyhedron courtesy of M.C. Not sure how you’d celebrate? Well, here are some suggestions. Doodle a funny cartoon to include in your loved one’s lunchbox. Write a sentence expressing your sentiments about a loved one and then leave it on his/her pillow, door or window. You get the idea. Buy a bouquet of tulips or daffodils and then share them with neighbors. Write a letter to a friend. Snap a humorous photo and share it. Take a picture of your pet and text it to someone who loves pets. Pick up a bag of your favorite candies and hand them out to people you know. Compliment yourself, write it down and post it on your mirror. You deserve love too. Write some kind words on the box of cereal or the can of beans you donate in the grocery store’s food barrels. Make a point of smiling at people you meet especially those who aren’t used to being noticed like: fast food workers, road maintenance engineers, and store clerks. If you can afford it, pay for the coffee, meal or cart of groceries for the person behind you in line. Leave your favorite paperback in a public waiting room along with note inviting someone to enjoy it. Tell someone else about RAPA. That’s what I’m doing. I’m also looking for other ideas for celebrating. Do you have any thoughts? Please share. What would you do if someone you loved disappeared? How far would you go to be reunited? These are the questions Leah, the main character in Paris By the Book answers. She describes her efforts in the prologue. Once a week, I chase men who are not my husband. I should not, but there are many things I do that should not—smoke, own a bookstore, pay for French lessons I always find ways to skip—and this is one. I walk my daughters to school, stare past the parents staring at me, and start my search for that day’s man. I’ve sometimes begun right there on the sidewalk, trailing a fellow parent, a father, as he frees himself from the clutch outside the massive school door. More frequently, I walk up to the teeming rue Saint-Antoine and sift the passing crowd. Some mornings I find someone to chase right away. Some mornings it takes all morning. Some mornings I follow someone for a while, usually someone just like my husband, or as close as I can manage, or bear—the ink-black hair, the narrow shoulders, the hands that can’t say in pockets, the head that can’t stop turning every way but mine—only to lose interest when some errant detail distracts. My husband would never wear blue glasses. My husband would never not yield a taxi to a pregnant woman. My husband would never steal a magazine from newsstand, an apple from a greengrocer, a book from a bouquiniste. My husband would never—and I say this once on one of my forays, a dad I’d trailed from the school door—kiss a woman not his wife. I was fortunate to hear the author Liam Callanan read this passage at Mount Mary University’s Writers on Writing February 11th, 2019 Event. After he read his compelling prologue, he told us about how he’d come up with the idea. About five or six years ago, Liam and his family were looking for a place to go for Spring Break and it turned out plane tickets to Paris were on sale. Liam decided to write an article that would be a children’s guide to Paris. He and his family would visit the places where Ludwig Bemelmans’ Madeline had adventures. In their walk-about Liam’s family passed an English language bookstore called The Red Wheelbarrow. He has an author’s rule—anytime they go to a bookstore, his kids get a book. Liam went inside and found the place disorganized. He tried to buy a book and the owner refused to sell it to him. “Six months,” she corrected. Liam and his family left the shop, but the idea for Paris By the Book was born. And, good news, he’s planning on having a book signing in the Red Wheelbarrow in the near future. In preparation for the Writers on Writing Event I read Paris By the Book, which I loved. You can read my review at this link. Along with Paris By The Book we were treated to fancy desserts. Like Schrödinger’s cat, Leah Eady’s husband, Robert may or may not be dead. On the surface he’s a supportive husband and all-around awesome dad, but underneath he’s a tormented writer certain a great novel is in him if only he can manage to yank it free. Apparently, he can’t write around his family, so he often goes on short, break-away trips. He usually leaves notes, and returns after a few days; however, he never comes home from his last excursion. Leah contacts the police, but no leads come up. Robert isn’t not calling, texting or even using his credit cards. The one clue Leah has is an unfinished manuscript about a family moving to Paris to hopes of being reunited with a lost loved one. She remembers sweet dates where Robert took her to Paris, Wisconsin, her husband’s fascination with Madeline by Ludwig Bemelmans, and the fact that he insisted his daughters attend a French-speaking school to conclude if she’s ever going to see Robert again, it will be in Paris. Leah and her daughters, Ellie and Daphne, travel to Paris and end up staying. Leah buys into a failing English-language bookshop, which she and her daughters manage. They meet all kinds of colorful characters and we, readers, learn loads about the city of Paris, while the family searches for Robert and succeed in making a new life for themselves. I love Leah, Ellie and Daphne and their quirky, new friends. They mix grief with adventure as they navigate their new ex-patriot lives and prove they can remain a family without Robert. Still, as readers, we aren’t sure about Robert’s being alive or dead until Leah comes to terms with his disappearance in a wonderfully satisfying scene where she throws a book-chucking tantrum. I won’t spoil the mystery by elaborating further. Some readers might find the plot far-fetched, but I willingly bought into Liam Callanan’s well-spun yarn. If you like whimsical adventures as well as wacky yet heartfelt characters, or if you just want to learn lots about the city of Paris, this is a story for you. I’m thrilled to announce Other Than will soon be available as an audiobook. Keira Stevens worked hard to perform the story flawlessly, and she succeeds! Recently, she shared with me some of the out-takes to hopefully wet readers’ interest.